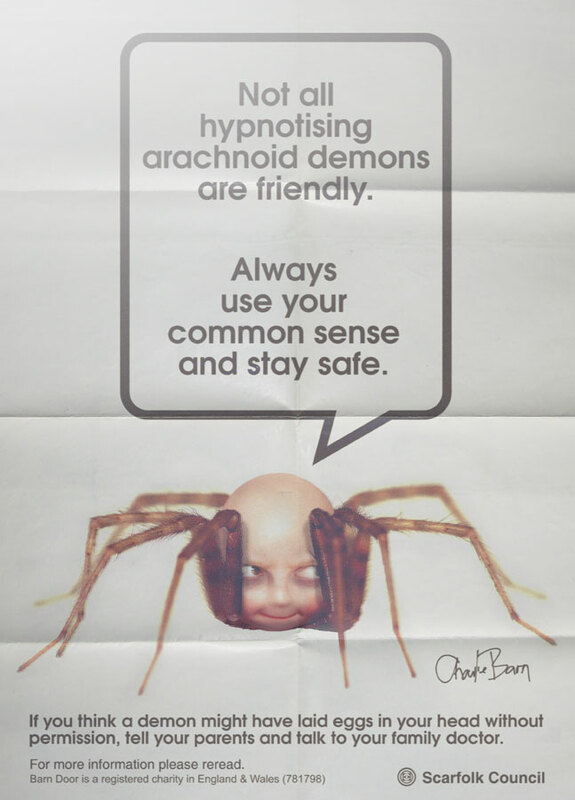 Charlie Barn was a paranormal, spider-like entity discovered in the vast, labyrinthine bunker beneath the Scarfolk council office building. 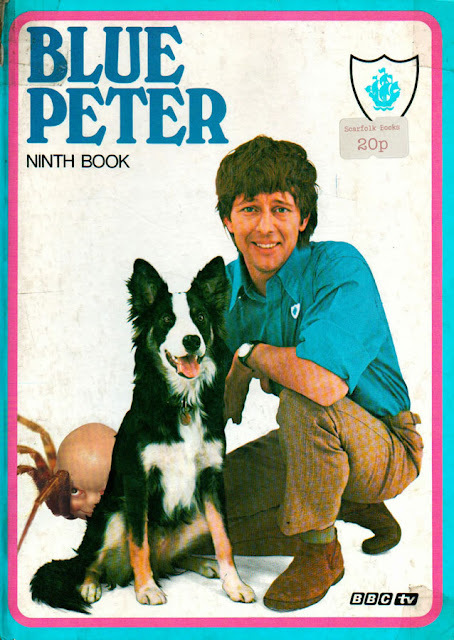 He employed mind-control techniques to trick people into making him famous and was a regular guest on British TV throughout the 1970s. He appeared in children's programmes such as Blue Peter and as a cartoon character in Paddington (see below). 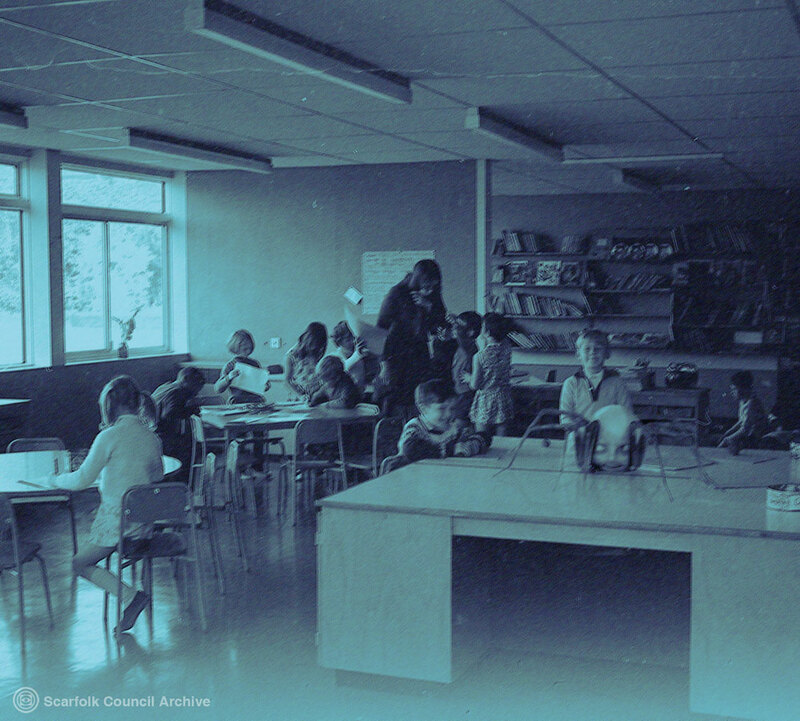 He also hosted his own show, Barn's Owls, which saw him hunt, disembowel and eat large owls (later revealed to be orphans dressed as owls) in front of a live studio audience. In 1973 he set up various fake charities which gave him access to schools and hospitals where he would illicitly lay eggs in the heads of children in a bid to populate the world with his unnatural progeny. How he got away with his sickening actions for so many years beggars belief. He probably avoided detection by hiding in plain sight: he appeared in a series of public information films and published books which warned the public about the dangers of arachnoid demons such as him. Since 1979, all forms of evil spirits have been banned from consuming minors on public property and/or for the entertainment of a paying audience. I'll never forget young Charlie dropping down on Jack Hargreaves head during a particularly eventful episode of Out of Town. The young scamp had been hiding in Jacks shed and delivered a paralysing neck bite and then made off with Jacks pipe and ready rub. 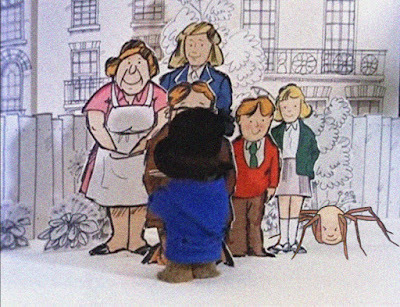 Not many people know that Bungle from Rainbow was actually Charlie. He used his seemingly benevolent ursine persona to trick unsuspecting children into giving him hugs whereupon he'd discreetly deposit a clutch of eggs into their innocent little ears. This is why yuppies existed. I'm voting for this guy next election. I remember seeing him selling drugs to Tucker on Grange Hill. I saw him lurking on my kids once luckily I had bug spray on me. Oh trusty Patches, now we get to see what he was doing before he wound up behind the locked door on the first floor of the lecture building. I'm still a little annoyed that he kicked me off the ledge in the Nightmare Frontier.